The malt lover's blend with smokey, sea air and peaty notes of an Islay malt combined with the sweet and seductive qualities of Speyside malts - a true connoisseur's choice. A deluxe blend of carefully selected single malt whiskies including Laphroaig, one of the finest single malts from Islay. A connoisseurs blend that has the unusual, mystical, peaty aroma distinctive of Islay whisky, but more gentle and seductive. Created for Lord Margadale, it carries with pride, the great seal of Islay. Nose: A subtle and seductive mixture of peat and seaweed. Mellow grain thins this out backed by a salty background and compelling sweet malt. 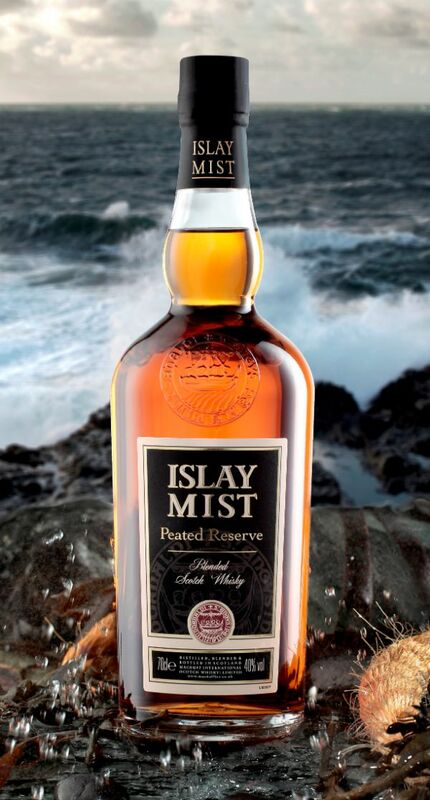 Palate: The peat is dominant but checked by a complex fusion of sweet malt, salt and oak. Finish: The soft peat clings to the roof of the mouth as toffee and coffee ensure a bitter-sweet finish. Comment: Classic blended whisky which lets the grain maximize the complexity of peated Islay malts.